China coal use exploding, U.S. leads world in CO2 reductions, alarmist media conceal all this & much more | Watts Up With That? So if coal use is increasing and forecast to continue to increase does that make RCP 8.5 the most plausible pathway? According to the models, yes. The fact that this scenario is so far from current reality just exposes how deeply flawed all of the models are. And those models reflect the programmed assumptions – clearly false. Weather cycles only, not climate-change. RCP 8.5 the most plausible pathway? No, because 8.5 refers to temperature not emissions and model projections have no predictive skill. Otherwise they would be called predictions. Supporting Ferd, adding that RCP8.5 is impossible, not just very unlikely. Even with all the new coal plants, CO2 emissions are still way below RCP 8.5. Pondering this then it might make the input assumptions of a scenario like RCP8.5 closer to what is actually happening in the real world than the heroic assumptions about stabilising/reducing CO2 output rates. This has nothing to do with the models predictions, simply the inputs. With the inputs are skewing one way, the actual observations stubbornly showing that either the earth is finding inventive ways to store energy deep under the carpet, or that the models are even more ridiculous. In order for RCP 8.5 to be at all plausible, you need to come up with a scenario wherein the countries of the world are producing 44 billion short tons (i.e. approximately 40 billion metric tons) in 2100, which is 8.6 times their total production in the year 2000. Try it yourself. Tell me if you think there is a plausible way that the world production can continuously increase to 44 billion short tons (40 billion metric tons) of coal production in 2100. If “this purely politically contrived scam is driven by projections from flawed and failed computer models” who cares whether China “quietly resumed” doing anything? That shouldn’t make any difference. China’s truly harmful emissions, such as Hg, particulates, SOx and NOx, swamp those from the U.S. Their use of emission controls is inadequate. My son just got back from a National Guard deployment to South Korea. Beautiful country, but the smog blowing in from China made things miserable, even that far away. Generally, everyone wore face masks. It’s even worse up close, imagine Pittsburgh of the 1940’s today. I recall being driven by a coal-fired power plant in a second tier city not too long ago and air from the brownish fog from the plant was unpleasant to breathe and for miles created a dark highly polluted zone. Upwind it was relatively clear and sunny. We’re pointing out the hypocrisy of you Global Warmists. It does “make a difference”. It means China is making more plant food than we are. You’re right it doesn’t make a difference if CO2 is harmless anyway. The point is: Even assuming it isn’t harmless, all efforts in western countries are futile and will be overwhelmed by what India and China do. You can as well let go. Loydo, it obvious doesn’t make any difference in reality. In the green-fantasy where CO2 is a bad thing, however, the fact that greens are ignoring China shows their hypocrisy and the fact that even if the west destroys their economies, it won’t stop India and China from putting out ever greater amounts of that stuff that the greens demonize. Why is everyone surprised by China’s increased emissions ? It has been agreed by U.S. President Obama in 2014 ! Ashok: Precisely, it was right there in the agreement, yet there is surprise. Why, indeed. Didn’t the press cover it? They covered the subtler points, like how just having an agreement at all was the most important outcome, how could they miss the black-and-white agreement provisions? Emissions from the developed nations have not risen since 1980 and the USA is reducing emissions due to use of cheap shale gas. The entire left-wing pitch of “lets end capitalism to save the planet” is not only without evidence, but is contradictory to all the evidence. The problem for the developed nations is to somehow allow the truth to be heard over the lies being spun by the left-wing army that control the media and most of the government funded public sector institutions. The recent Russian interference probe that exposed the labyrinth of lies and deception to destroy a presidentail candidate by fake news is just another example. Until such people are held to accound and placed in jail things will only get worse. As the USA cannot control the biased left wing Media, the only alternative is for the Federal Government to market a news source themselves. Yes I know “Pravda”, but what is the alternative. Accept that there is what amounts to a campaign to destroy the US economy. CNN and MSNBC are way down while FOX is way up. The market in action. Government run media on the other hand is all too easily corrupted by the party in power. Propaganda replaces truth. And yet Fox News is now owned by Disney. Leftists have been taking control of media for decades. No, it’s not. Fox news is separate from movies and entertainment and was not sold. Get your facts straight. No, it is controlled from the over all corporate entity, which is now Disney. Lie to yourself all you want, you are not lying to me. Oh, and MarkeeMark Suckerberg calling for more government control of free speech is no surprise, that is how he will pay off governments to block anyone from competing with his monopoly. You good with that, too, sweety? Why do media have to be biased left? The way to control leftist bias is to enable conservative access to all media. This whole article mostly critizes the EU for missing its targets and saying the US is doing much better in reducing it’s co2 emission, and yet the last graph shows US co2 growth of 2.5%, while EU growth is 0.7% for 2018. The last graph shows 3.7x CO2 emissions now relative to 1960 -ish…where is all this CO2? The math just doesn’t work. The actual CO2 concentration increase has been linear for 50+ years at Mauna loa, but emissions increasing many times the concentration increase. Seems to me that increases in atmospheric CO2 should be closely matched to any increases in emissions, particularly in short time spans. Same problem I have. Rough calculation of the Carbon dioxide levels as measured at Mauna Loa show that in 1955 the level was 310 ppm, in 2019 it is 410 ppm. That is in increase of 100 over 65 years or an increase of 1.5ppm per year. However Man is only responsible for less than ~ 4% of the amount of CO2 emissions in the atmosphere. The Mauna Loa graph is essentially linear and only slightly asymptotic [slightly curved]. Meanwhile the AGW graphs show a highly exponential [“Hockey stick”] increase in CO2 levels over that time period. Strange, very strange. The two graphs should agree or at least have a change in slope that corresponds, which it does NOT. Mr. Walton, your take from the article is to ignore one of its central premises??? The historical (empirical proof via actual data) utter failure of the models, in that the climate sensitivity to CO2 increase is without any basis outside the intellectuals’ Malthusian dreams, can not be ignored. Don’t you recognize your cognitive dissonance when you draw from the article (and models’ uniform failures) a conclusion that RCP 8.5 can have any merit in reality? The EU failed to reach an agreement and have been told to redouble efforts to find one for the next meeting in June. It is untruthful to claim this represents ” had to dump and completely abandoned”. Clearly they have not ( yet ) abandoned their plans. It is a sign of desperation when you have to start making untrue claims to back up your argument. They EU abandoned their plans. They are planning new ones. There would be no need to redouble their efforts if they hadn’t abandoned the plans. Yes, but when most people have the attention span of a raindrop, it makes good PR to say “we are redoubling our efforts” We are “doing something” as requested by our constituents. Good, we should be on top of the CO2 heap. It is needed for plants to grow. More CO2 is good. No data shown that it is increasing worse weather/climate. Is energy really only about 1/1000 of the total US CO2 ? You got the units right, but please take a look at the numbers on the left side of graph #2. They are thousands. 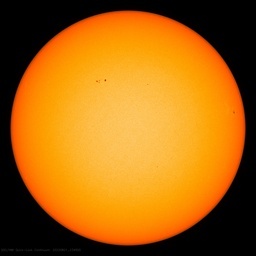 The reality is that, based on the paleoclimate record and the work done with models, the climate change we have been experiencing is caused by the sun and the oceans over which mankind has no control. Despite the hype, there is no real evidence that CO2 has any effect on climate and there is plenty of scientific rationale to support the idea that the climate sensitivity of CO2 is zero. So the world can stop using fossil fuels altogether but such will have no effect on climate. Hmmm… no mention of the UK? “The UK’s greenhouse gas emissions fell 3% in 2018 as pollution from the energy sector continued to decrease, provisional government figures show. that’s govt figures, 44% CO2 drop, no grid outages, no effect on the life of the ordinary citizen. Yes, ending the life of UK citizens should be considered as an effect on their lives. Reducing their disposable income should be considered a more broadly applicable second order effect. No griff, How can you get so many things wrong ? CO2 is a bit player – go read a book on atmospheric chemistry. This is griff we’re talking about, that he gets most everything wrong is just par for the course. it’s the rare occasions that he gets something right that should cause astonishment (fortunately those occasions are extremely rare). We’re talking actual reductions in CO2. A portion of the UK’s reported CO2 reduction is fake, i.e., the CO2 from burned wood pellets at Drax is not included. Naughty. I know that green math claims wood is carbon neutral because the newly planted trees will recapture the CO2 in 100 years (or whatever the time frame) and that they ignore the concept of time to arrive at the carbon neutral treatment. But when measuring country wide emissions in the UK (or elsewehere) do they actually assume the Drax plant (or any other wood burning plant) is not putting out any CO2? Phoney calculation of UK CO2 reduction? There are multiple scams in the CO2 reduction assumptions and calculations, concerning ‘green’ energy. Lies multiple. For example, the conversion of coal plants to burning wood pellets is assumed to be a change to a carbon free energy source. If the energy to cut down the trees, convert the logs to pellets, and ship the pellets to the UK is included burning wood pellets releases more CO2 than burning coal. As noted below, wood pellet burning will no longer be allowed. ….Attention bioenergy and wood pellet investors: the UK has just announced a new policy that could limit future wood pellet markets, particularly if adopted by other countries. The policy sets a new and substantially lower limit on fossil-fuel “lifecycle” CO2 emissions from biomass fuels in order to qualify for renewable energy subsidies, a limit that appears to be impossible for wood pellets to meet. Given the extreme dependence of the biomass power industry on subsidies, and its growing dependence on imported wood pellets, this is a significant development. William, it has become even worse. Did you not catch the news item a few weeks ago (probably BBC, I do not recall as I was suffering an acute outbreak of rage at the time) showing that some engineer numpty has tucked a small carbon capture procedure in the effluent stream so they are able to claim that Drax energy production from wood pellet combustion is now carbon positive. Yes, me too. Yeah, no effect, if you ignore the rising energy prices….. The decline in the EU and the UK is because manufacturing has been moved elsewhere. taking the emissions, even if they were relevant, with them. The rising cost of electricity has driven that as unreliable generation and global warming taxes have increased. There has also been opposition to hydraulic fracturing to produce gas so the only other internal energy source is coal. The UK switch to renewables means that Russian gas, not UK coal keeps the nation alive on windless nights. This is why Putin feels free to kill dissents on UK soil. Since the Democrats seem intent on making global warming a key campaign issue, the upcoming presidential debates will be really fun if Trump gets his act together to learn all of the facts, like those contained in this article. Good point. Trump has to point out the effects of the Green New Deal on manufacturing states such as Michigan, Wisconsin and Ohio, and on natural gas producers such as Pennsylvania. Also, the Republicans in Arizona have got to stop the cheating, or we’re going to lose this election ( and all future elections). Trump just needs to show some graphs showing no increase in extreme weather, no increase in sea level rise. He needs to show, not just say, that all of the alarmist talking points are lies. In the world of Climate Science, what you say is way more important than what you do. Climate warriors who fly private jets all over the world, while telling poor Africans that they can’t have electricity, are the good guys. China talks about Global Warming, all the while building coal plants as fast as they can. For those like griff this is proof that they are one of the good guys. The legacy media DESPERATELY WANT the Fascist (Dear Leader for Life) Chinese Communists to overtake the US as dominant world superpower. The leftist media KNOW that the only way for this to happen is via cheap, plentiful, energy distributed across the entire Chinese landscape. THAT is why the legacy media never mention a word of the Asian Brown Cloud wafting across the planet. The Chinese are filthy pigs. In China, life is so cheap that their Dear Leader pollutes his own people’s environment with impunity. To griff at 12.38 pm. I, a pensioner, and have recently received a notification from my electricity supplier, nPower, that my off-peak rate of electricity that provides heating for my wife and I is to increase by £100 per annum with effect May. That is an increase of 12% in one fell swoop. The only reason given was that Ofcom permitted that increase. My pension increase for the next 11 months is a mere 2% of last year’s value. Conventional electricity generation fuel costs are not causing that significant increase. It is the impact of reliance on renewables within the whole system costs that has usurped steady and comparatively cheap electricity that was the norm, until politicians jumped on the bandwagon and passed laws that did not even appear in party manifestos. I will not mention the loss in reserve generation capacity over recent years. I certainly foresee tears in the winters ahead. Thank you China for providing the energy intensive products essential for a modern society. Unfortunately the liberals in the USA are so afraid of a few emissions it’s illegal to do the same here. Enjoy your new found jobs and the accompanying prosperity. US is still the highest emitter per capita, roughly twice that of the EU nations and Japan. Still much higher than China. The reductions as percent of baseline have been higher in Germany than the US, the absolute number is higher in the US because we have 4 times as many people. It is also harder to reduce when you are using half as much fossil fuel as the US per capita to start with. The German energiewende was an expensive program as it relied on solar power in a country with poor solar irradiation and at a time when PV’s were much more expensive. It did however help to jumpstart the industry worldwide and created the virtous cycle of increasing PV production resulting in declining cost curve resulting in more demand and then more production. It is true that OECD CO2 use will not be the driver of higher emissions in this century, that will be a function of whether emerging markets use fossil fuels or a mix of wind/solar/storage/nuclear/hydro. The RCP scenarios basically have different time frames for when the globe transitions away from fossil fuels and peak emissions are reached. In 2.6 it is in the 2020’s, in 4.5 in the 2040’s, 6.5 in the 2070’s, and in 8.5 we never peak but basically run the world on coal in 2100 with annual emissions reaching 100 gigatons. It is clear that the rate of rise in emissions has already slowed, and it is likely that we will peak in 2020’s or 2030’s, depending on how hard policy is driven around the world. The purpose of the US or Germany or Japan in developing a carbon free energy system is to the pay the cost of R and D to get us there. Once deployed at scale and with the infrastructure available to the rest of the world, emerging markets get to adopt it and bypass fossil fuels, just as no Third World country ever bothered to build out a full national landline system, they all leapfrogged to cellular. Given that about a third of the US has already committed at the state level to do this by 2050, and likely the major EU nations will do so as well, the future is baked in. Carbon emissions will peak in the next decade in fall off over the next 30 years to zero other than airline travel and possibly shipping. As the EU, China, and India are all banning ICE vehicles by 2030 or so, the gasoline engine is dying. If it is technologically possible to go to an all renewable energy system at an acceptable economic cost, the benefits of that are substantial even if fears of climate change are exaggerated. Air pollution goes away at a local level and the global economy politics are not distorted by the massive transfer of hundreds of billions of dollars to oil producers like Russia and Saudi Arabia, who don’t do much good with all that cash. Multiple compelling evidence demonstrates that CO2 has little if any effect on climate. Calling CO2 pollution is science incompetence. Calling it carbon makes it sound more ominous and distracts from attending to possible real atmospheric pollutants, especially from coal, such as particulates, NOX, Hg and sulfur (as the Chinese are experiencing, especially with the smog in Beijing. Technologically advanced countries use precipitators to remove the real pollutants). Contamination of the environment with real pollutants is a worldwide problem. Instead of all this fuss over harmless (actually beneficial) CO2, economic threats/encouragement should be applied to motivate all countries to require, as a minimum on new equipment, application of currently available technology to minimize real pollution. Paul Homewood posted on this topic. The next day, was the post on India. Very much worth the time to read them. And thanks to Larry H. for this post. China, India and Africa comprise almost 50% of the global population. Growth of CO2 emissions from China alone is more by far than the rest of the world, excluding China, India and Africa. Growth of CO2 emissions from India is ramping up. I’ll leave it to others to speculate on why Africa has no growth, but with the number of people on the continent, eventually there will be growth there as well. Anyone who thinks CO2 emission reductions in the rest of the world makes the slightest difference is deluded. No fan of China, but they have every right to use coal to produce reliable electricity. I would suspect they’ll use typical pollution controls (precipitators, scrubbers for high-sulfur coal), but avoid the senseless catalytic converters & carbon-capture scams. Actually, fluidized-bed coal plants can reduce the need for even those basic controls, but not sure they’re going to go that route. Wouldn’t it be fairer to look at the emissions per capita than rather than per country? that US citizens still have highest emissions by far. People who prefer to base the argument on per capita emissions should be very happy to live in the Central African Republic. Very low per capita emissions there. Perhaps you might want to factor in living standards, somehow, eh? Or do you rally think Man should still be living in caves before the discovery of fire? The reason I took up emissions per capita was because the article compare the emissions in China to USA wihout mentioning that China has four times as many Citizens. We all hope that poor nations will be able to grow their economy and offer a better life to their citizens, and they will undoubtly increase their per capita emissions in that process. However, France and UK are good examples showing that it s possible to combine high living standards with relative low per capita emissions. Has there been a study which demonstrates that as carbon dioxide levels increase its greenhouse effect is reduced? No factual study shows the opposite. What is your point? Isn’t that what this discussion is about? I ran across it after I asked my question. No, the point is China is breaking its agreements to reduce coal use, exactly as anyone with a brain knew they would. Co2 is plant food, more Co2 more plants more oxygen. The political left’s plans to force humans to destroy their energy production, agricultural production and industry base through the lie of Man CCaused Globall Warmining are failing, yugely, and it is fun to watch. I was referencing the linked article previously posted on this website. It mentioned that even the IPCC adnits that as carbon dioxide levels increase its effects on temperature will not be a much as previous increases. If you are aware of information which disputes this I would love to read it. plants , thus all life, and with no effects to talk of on the worlds weather, why are we so upset about rising level ? politically we are slowly heading towards a Communist like world. in the streets protesting, will anything change. But if they continue to behave like a mob of sheep, then thy will end the same way, very dead. Here in Australia after our “Leaders” said that they would “Take the big stick” to the Utilities, to make them reduce their prices, they changed their mind and instead are now promising a “”One off” payment of a few hundred dollar s to enable us to meet one of the coming electric bills. Of course other than reducing some “Donations” from the Utilities, the reason probably is that they the Utilities might say just why the prices are so high, the renewables. and as CO2 is an invisible gas, any smog issues have nothing to do with CO2. That would be sulfur dioxide and particulates that you’d need to worry about with smog, not CO2.